Does anything work to reverse angioedema? If it’s hereditary, then icatibant may do the trick. From September 2014: Is it really a sinus headache? How often do you see patients who tell you they are having a sinus headache need antibiotics. 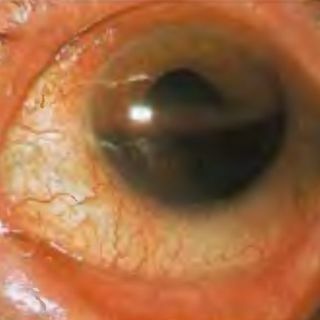 Hyphema is blood in the anterior chamber of the eye.